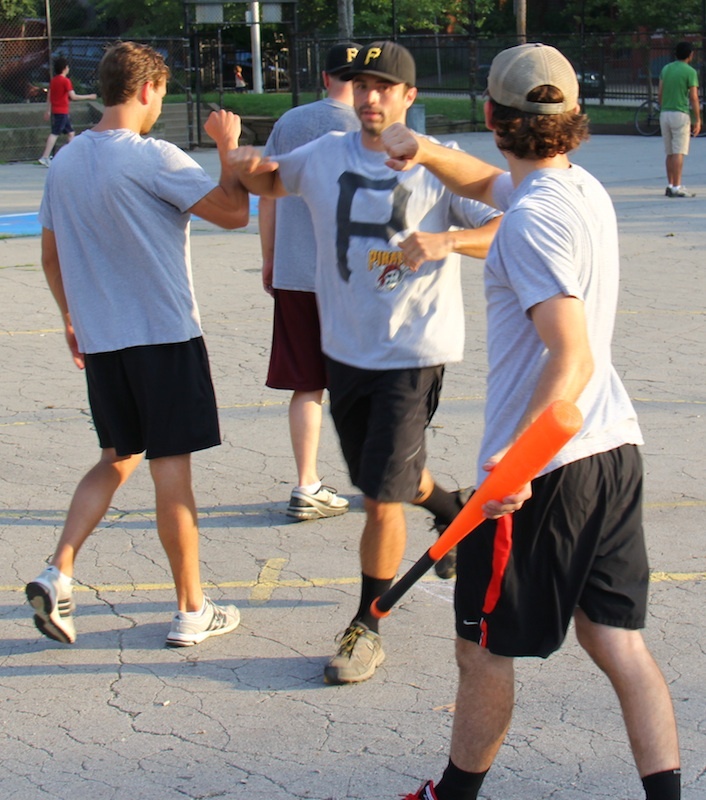 Eastbound & Dahn held off a furious Questionable Outfit rally, managing not to blow a big early lead in an 8-7 win. Eastbound & Dahn started Mark on the mound, and he got into some trouble early against in the top of the first. The game’s first batter, Tom, hit a mammoth leadoff solo homer to deep left field, putting Questionable Outfit ahead 1-0 immediately. Mark retired the next batter, Reilly, but Questionable Outfit would string together a few hits with one-out. Bob singled, and moved from first to third when Mike followed with a single. With one out and two runners on, it looked like Questionable Outfit would blow the game open early, but Mark avoided more trouble by retiring Tom to end the inning and strand both runners. Mark helped himself out at the plate, instantly making up the runs he surrendered on the mound. He led off the bottom of the first with a solo homer, tying the game at 1-1. The next batter, Hartley, crushed a bomb to left-center, and the back-to-back homers put Eastbound ahead 2-1. Questionable Outfit’s starter, Mike, would retire the next two batter to end the inning. After a shaky first inning, Mark cruised through the top of the second, retiring the side in order. Mike matched him in the bottom of the second, doing the same. Mike led off the top of the third with a single, but Questionable Outfit couldn’t bring him home, as Mark retired Tom and Reilly to end the inning. Eastbound got their bats back out in the bottom of the third and added to their lead. Harley led off the inning with a single, and the next batter, Ivan, hit a 2-run homer to deep right field, extending the Eastbound lead to 4-1. After retiring Helal for the first out, Mike gave up a solo shot to Trevar, making the score 5-1. He then fanned Mark for the second out of the inning. Mark retired Bob for the first out in the top of the fourth, but Questionable Outfit would cut into the Eastbound lead. 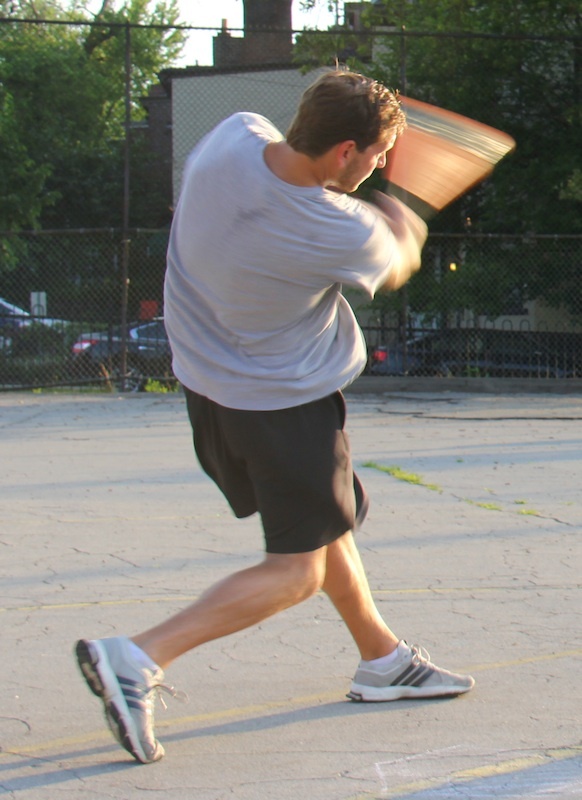 Mike singled, and with one out, Tom hit a monster two-run homer to left field, his second of the game. The blast made the score 5-3. Mark would then retire Reilly to end the inning. Ahead by two runs, Eastbound would open up the lead again in the bottom of the fourth. Hartley started the inning with a double, and the next batter, Ivan, hit a 2-run home run, his second of the game, to make the score 7-3. Helal followed with a solo bomb, and the back-to-back homers put Eastbound ahead 8-7. Trevar followed with a double, and Eastbound had collected four consecutive extra-base hits without registering an out. But Mike pulled things together, retiring Mark and Hartley, stranding the runner at second to end the inning. Questionable Outfit was down but not out, and they stormed back in the top of the fifth. Bob led off the inning with a solo homer, making the score 8-4. Mike followed with a single, setting up Tom for his third homer of the day, a two-run jack that made the score 8-6. Mark would retire Reilly for the first out, but the next batter, Bob, hit his second blast of the inning. His solo shot cut the Eastbound lead to 8-7. Mark had allowed 4 runs in the inning, but he kept his composure, striking out Mike for the second out, ending the Questionable Outfit rally. Eastbound were unable to add to their lead in the bottom of the fifth, as Mike retired the side in order. Down a run in the top of the sixth, Questionable Outfit were unable to tie the game in their final at-bat. Tom flew out to center for the first out of the inning, and after Reilly singled with one out, Mark retired Bob for the second out, ending the game. 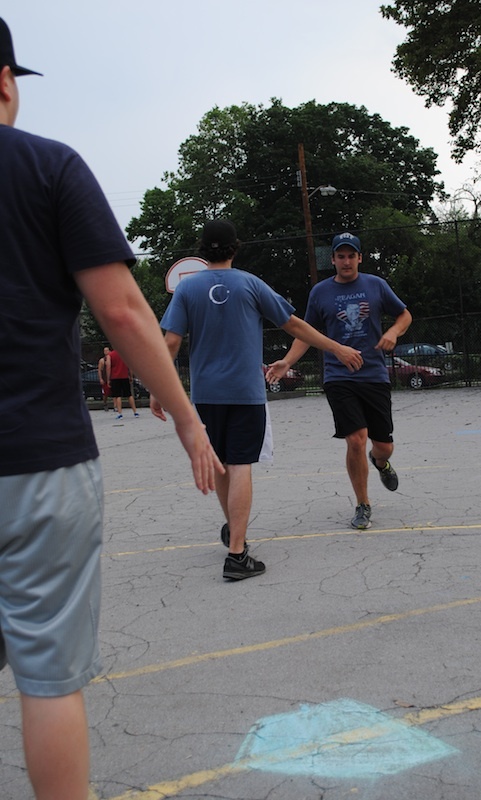 The win moved Eastbound & Dahn to 7-9 on the season, while Questionable Outfit fell to 10-6 with the loss. – Mark pitched the complete game victory for Eastbound, allowing 7 runs on 11 hits in 6 innings. 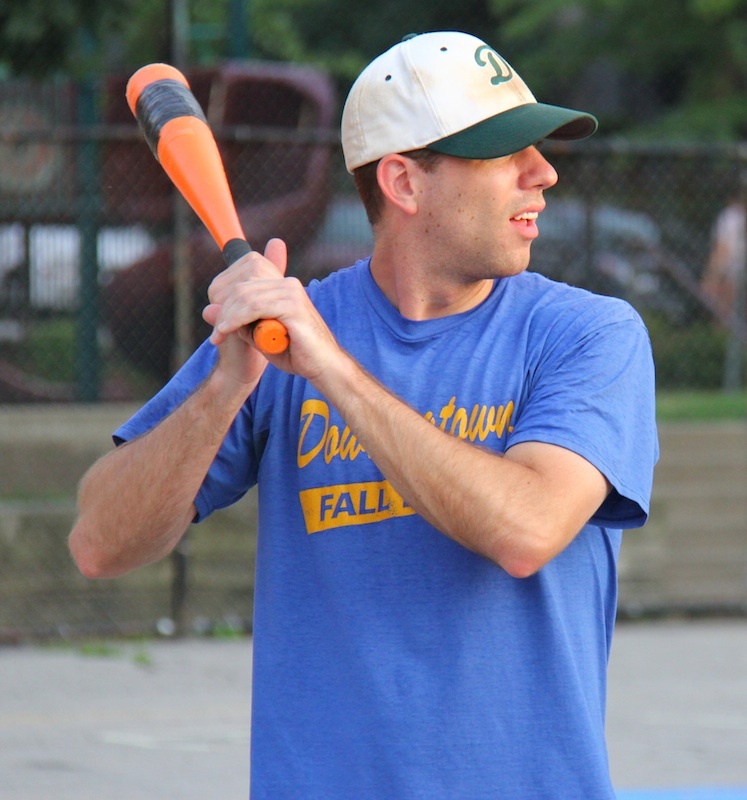 – Mike took the loss for Questionable Outfit, giving up 8 runs on 9 hits in 5 innings. He has now lost his last two consecutive starts after beginning the season 5-0. – Harley led Eastbound & Dahn at the plate, going 3-for-4 with a single, double, home run, 3 runs scored, and 1 RBI. He was only a triple shy of the cycle. 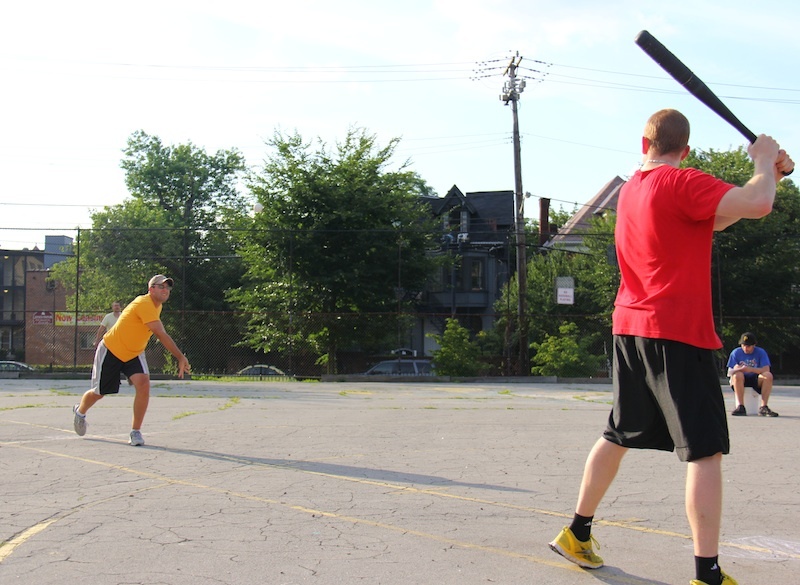 – All five Eastbound & Dahn players homered, including Ivan, who hit two bombs. 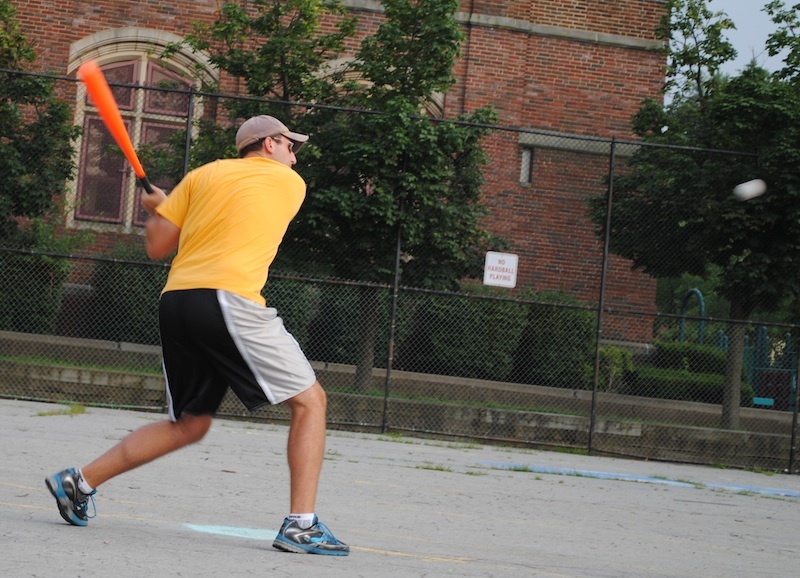 – Tom led Questionable Outfit on offense, going 3-for-6 with 3 homers, 3 runs scored, and 5 RBI. – Bob collected 3 hits for Questionable, and Mike had 4 singles. – Both teams had leadoff home runs in the game. Tom hit his third leadoff homer of the season; Mark’s was his second. Cookies & Cream scored six of their eight runs over the final two innings as they came from behind to top the Ham Slams 8-5. 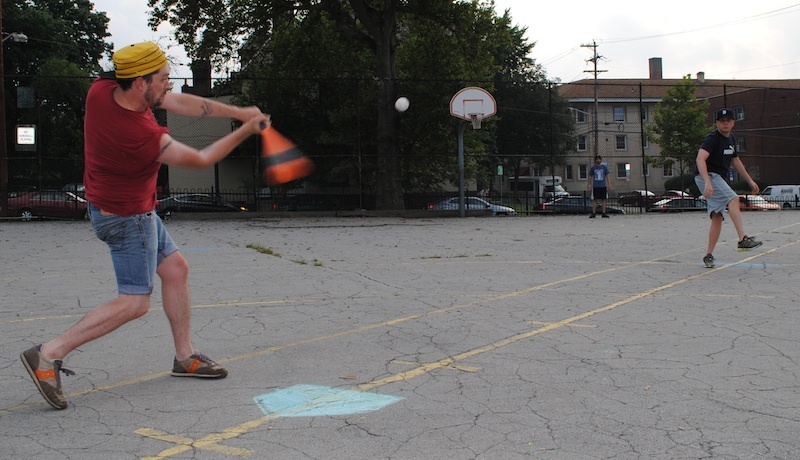 Dinger started on the mound for the Ham Slams, who were playing with new free agent acquisition Riley. Dinger retired Anthony for the first out in the top of the first, and after Riley singled in his first career at-bat, Dinger got Charlie to ground out to center to end the inning. The Ham Slams started their ace, Charlie. After retiring Dinger for the first out in the bottom of the second, Joey crushed a solo bomb to left field, putting Cookies & Cream up 1-0. Charlie avoided further damage, retiring Morrison for the second out. Dinger cruised through the top of the second, retiring the side in order. Charlie matched him in the bottom half of the inning, pitching a scoreless frame. Down a run, the Ham Slams continued to struggle in the top of the third, as Dinger sent them down consecutively. Cookies & Cream would add to their lead in the bottom of the third. Morrison led off the inning with a single, and moved to second when Dinger grounded out for the first out. The next batter, Joey, lined a double off the tree, scoring Morrison and putting Cookies & Cream ahead 2-0. Charlie retired Morrison for the second out, stranding the runner at second. 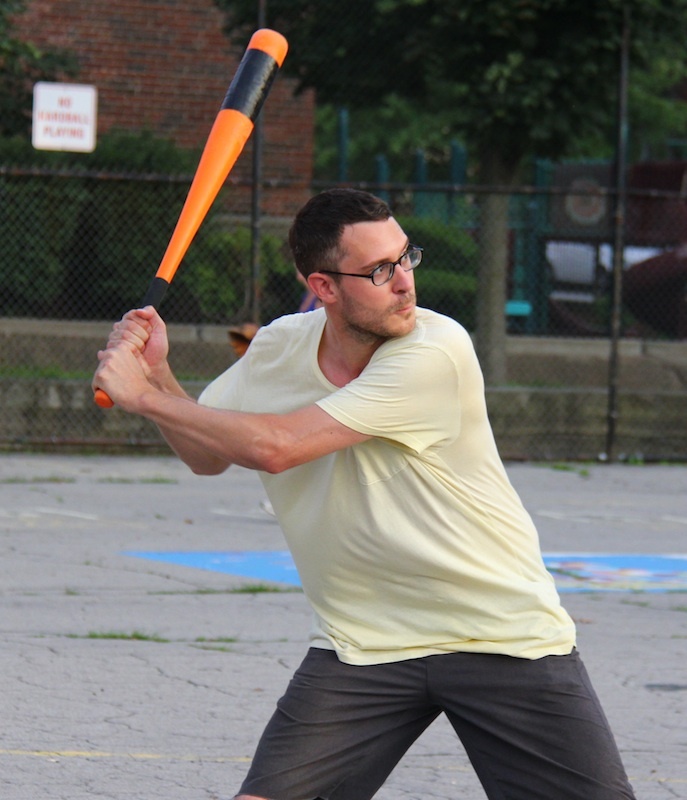 After having trouble getting their bats going early, the Ham Slams had an offensive burst in the top of the fourth, helped in large part by Cookies & Cream fielding errors. Dinger retired Riley to start the inning, but the Ham Slams would rally with one out. Charlie singled and moved to second when Anthony singled. With runners on first and second, Riley hit another single for the Slams, scoring Charlie from second and cutting the deficit to 2-1. With runners on the corners, Charlie hit his second single of the inning, scoring Anthony from third and tying the game at 2-2. With runners on first and second, Anthony stepped to the plate and hit a 3-run bomb. The barrage put the Ham Slams ahead 5-2. Riley would follow with another single, but Dinger fanned Charlie to end the difficult inning. Trailing by three runs, Cookies & Cream would bounce back immediately. Charlie retired Dinger for the first out of the inning, but Cookies & Cream would have a one-out rally of their own. Joey hit a solo shot, his second of the game, to make the score 5-3. Morrison followed with a one-out double, and scored when Dinger doubled, cutting the score to 5-4. With one out and a runner on second, Joey hit his second homer of the inning, a two-run jack, that put Cookies & Cream ahead 6-5. Charlie retired Morrison to end the inning, but the lead had been surrendered. Dinger retired the side in order in the top of the fifth, maintaining the 6-5 lead. He would get a little more run support in the bottom of the fifth. He helped himself out with a single to lead off the inning, and moved to second when Joey grounded out for the first out. The next batter, Morrison launched a 2-run homer, extending the Cookies & Cream lead to 8-5. Charlie retired Dinger to end the inning, and the Slams would head into their final at-bat trailing by 3 runs. Cookies & Cream turned to their bullpen and brought in Morrison for the first save opportunity for any team in the 2013 season. He retired Charlie for the first out of the inning, but gave up a one-out double to Anthony. The Ham Slams couldn’t rally, however, as Morrison retired Riley for the second out, ending the game. 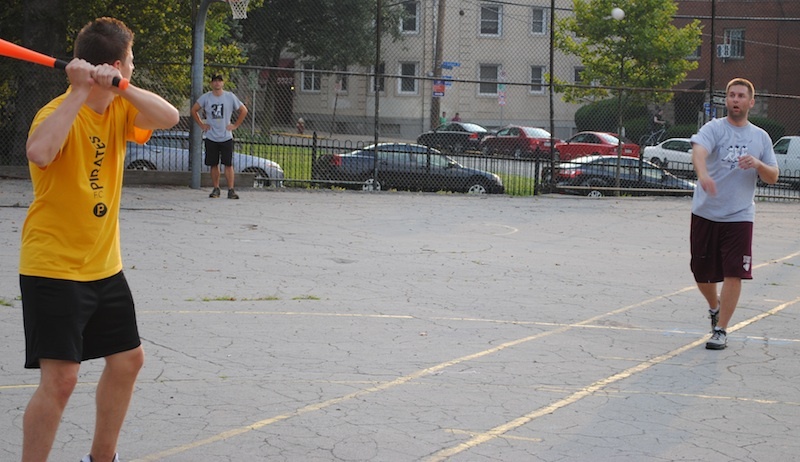 The win moved Cookies & Cream to 10-6 on the season, and the loss dropped the Ham Slams to 5-11 on the year. – Dinger pitched 5 innings in the winning effort for Cookies & Cream, allowing 5 runs on 7 hits with 1 strikeout. 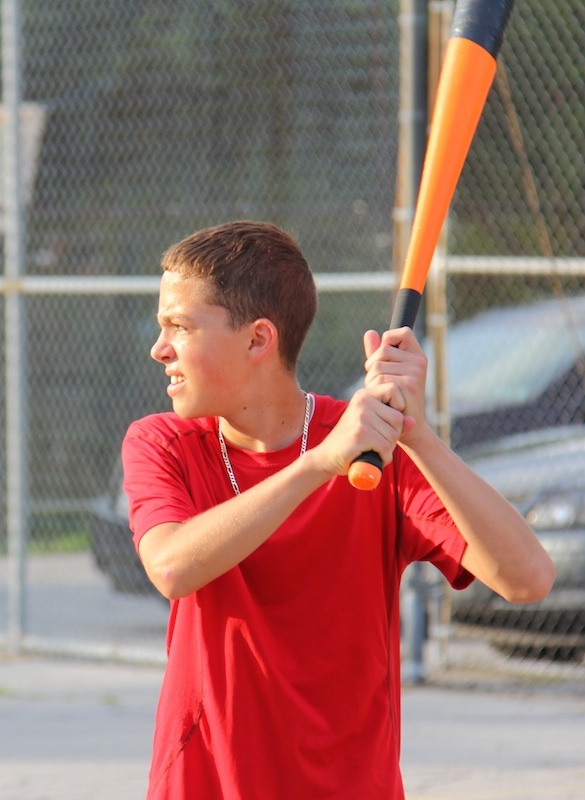 – Charlie took the loss for the Slams, giving up 8 runs on 9 hits in the complete game. – Morrison picked up the first save of the 2013 season, allowing 1 hit and no runs in 1 inning of relief. – Joey led Cookies & Cream at the plate, going 4-for-6 with a double, 3 homers, 3 runs scored, and 5 RBI. He also had 10 of a possible 11 putouts for Cookies & Cream. – Morrison also went 3-for-6, with a single, a double, a home run, 3 runs scored, and 2 RBI. 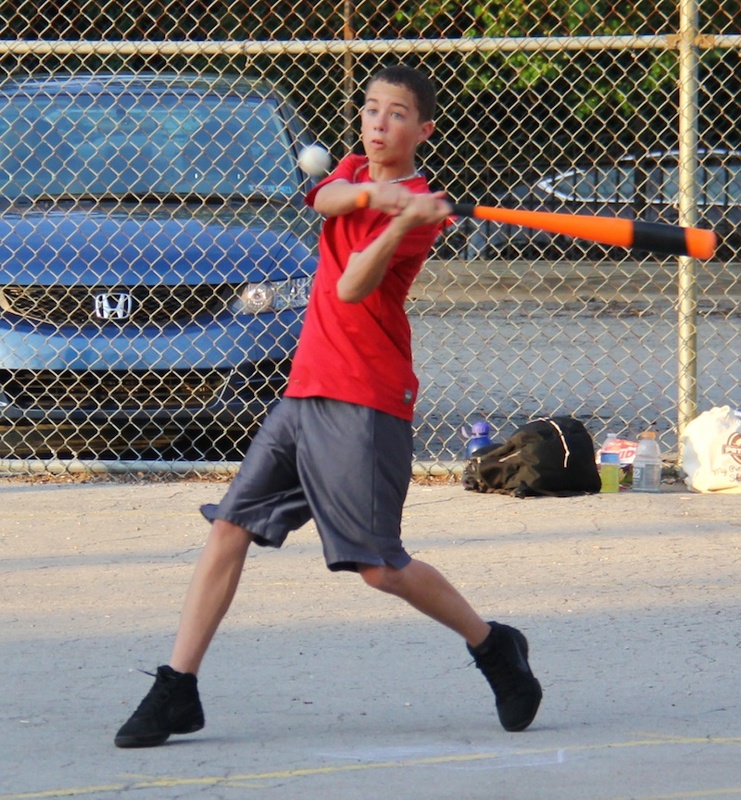 – Anthony led the Ham Slams at the plate, going 3-for-7 with a single, a double, a homer, 2 runs scored, and 3 RBI. Eastbound & Dahn went up early and Helal used the run support to cruise to a 6-2 win over Cookies & Cream. Cookies & Cream got out their bats early, and it looked as if Helal would have a long day on the mound. The first batter he faced, Dinger, singled, and moved to second when Joey grounded out for the first out of the inning. The next batter, Guthrie, ripped an RBI triple, scoring Dinger and putting Cookies & Cream ahead 1-0. Helal minimized the damage, retiring Vassallo for the second out, ending the inning. The Cookies & Cream lead would not last long, as the league’s best pitcher, Guthrie, was hit hard. He retired Mark to start the game, but then things got rocky. Trevar hit a one-out single, and Helal followed with a two-run jack, putting Eastbound & Dahn ahead 2-1. Mark followed with a solo blast, and the back-to-back homers gave Eastbound a 3-1 lead. Trevar followed with yet another Eastbound bomb, and his solo homer pushed the score to 4-1. Helal couldn’t extend the home run streak to four, as Guthrie retired him to end the inning. Helal retired Dinger for the first out in the top of the second, and after Joey doubled, Guthrie grounded out to left to end the inning. Mark doubled to lead off the bottom of the second, and with aggressive base running, scored from second on a routine ground out by Trevar. Helal grounded out for the second out, and Eastbound & Dahn had a 5-1 lead. Helal pitched a perfect frame in the top of the third, retiring the side in order. Mark led off the bottom of the third with a single, and moved to second when Trevar followed with a single. Helal then hit another single, and Eastbound & Dahn had the bases loaded with no outs. Mark came to the plate and singled, the fourth consecutive for Eastbound, scoring the runner from third and making the score 6-1. With the bases still loaded, Guthrie got out of the jam, getting Trevar to fly out to shallow center, and Helal to do the same for the second out of the inning, stranding three runners. After retiring Joey for the first out of the inning, Helal gave up a one-out double to Guthrie. The next batter, Vassallo, tripled, scoring Guthrie and cutting the score to 6-2. But Cookies & Cream couldn’t rally, as Dinger flew out to left for the second out of the inning. Mark singled to lead off the bottom of the fourth, his fifth consecutive at-bat with a hit, but Guthrie was able to strand the runner. He retired Trevar and Helal to end the inning. Joey led off the top of the fifth with a triple, but Helal continued to confused Cookies & Cream hitters. He retired the next two batters consecutively, ending the inning and maintaining the 6-2 lead. Guthrie retired Mark to start the bottom of the fifth, and after giving up a one-out double to Trevar, he retired Helal for the second out of the inning. Down to their final at-bat, Cookies & Cream needed four runs in the top of the sixth. After Dinger grounded out for the first out, Joey singled, but Helal stranded the runner, getting Guthrie to fly out for the second out of the inning, and ending the game. 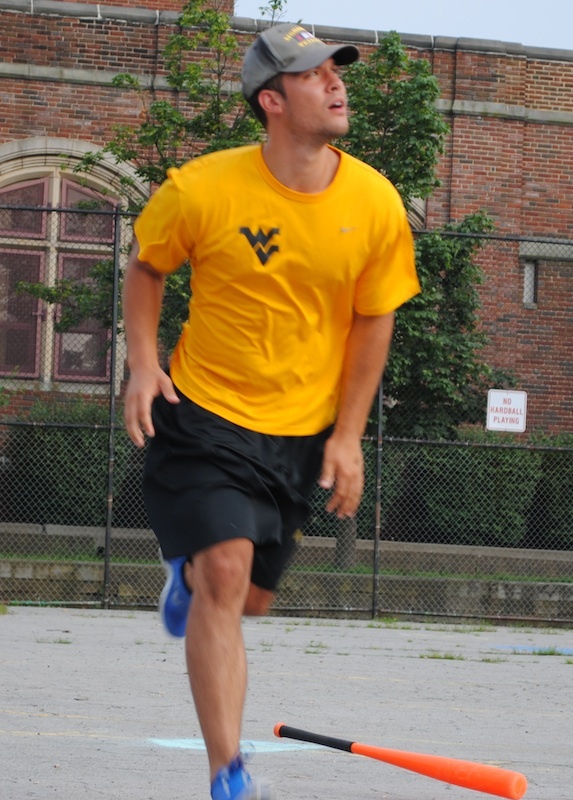 The win moved Eastbound & Dahn to 6-8 on the year and within two games of .500. 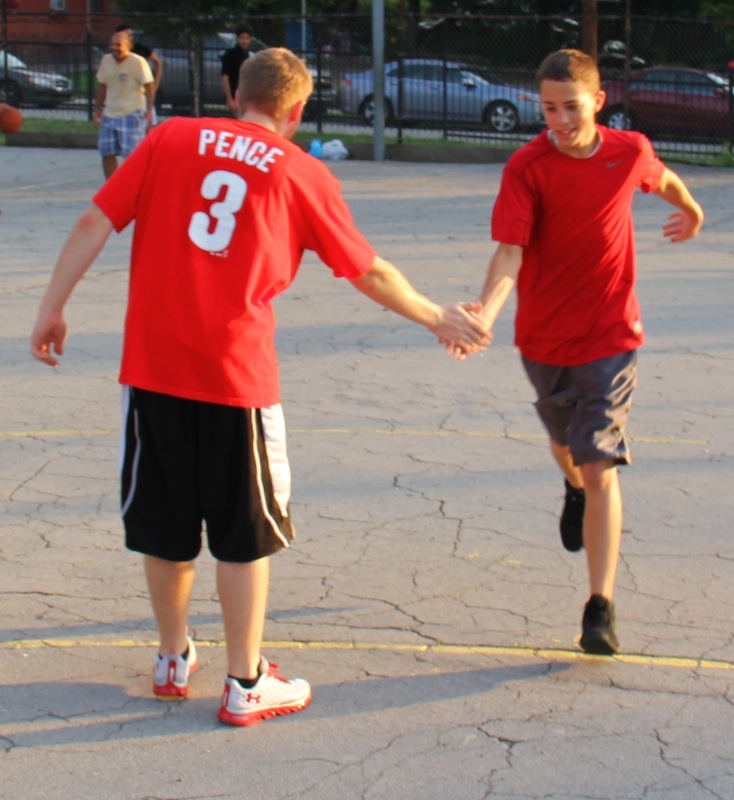 The loss dropped Cookies & Cream to 9-6 on the year, a half game behind Questionable Outfit in the standings. 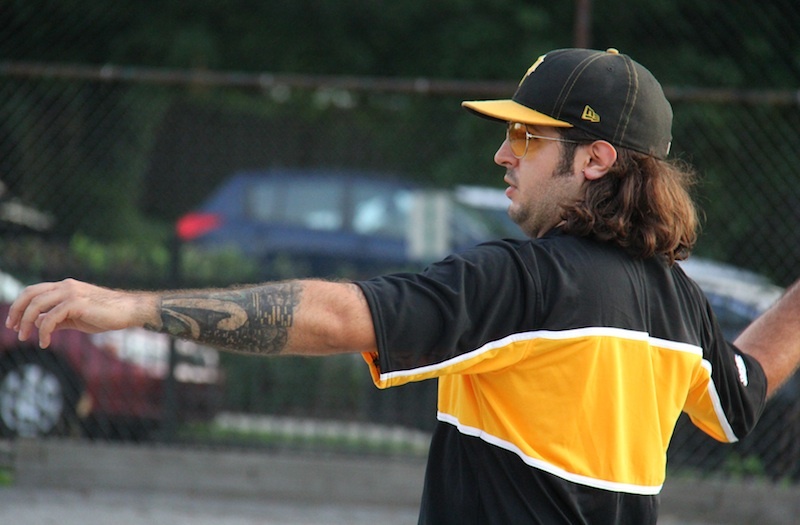 – Helal pitched the complete game win for Eastbound & Dahn, allowing only 2 runs on 7 hits in 6 innings. – Guthrie took the loss for Eastbound & Dahn, giving up 6 runs on 11 hits in 5 innings. – Mark led Eastbound & Dahn at the plate, going 5-for-7 with 3 singles, a double, a home run, 3 runs scored, and an RBI. Trevar also had 4 hits for Eastbound. – Joey led Cookies & Cream at the plate, going 3-for-5 with a single, a double, and a triple. 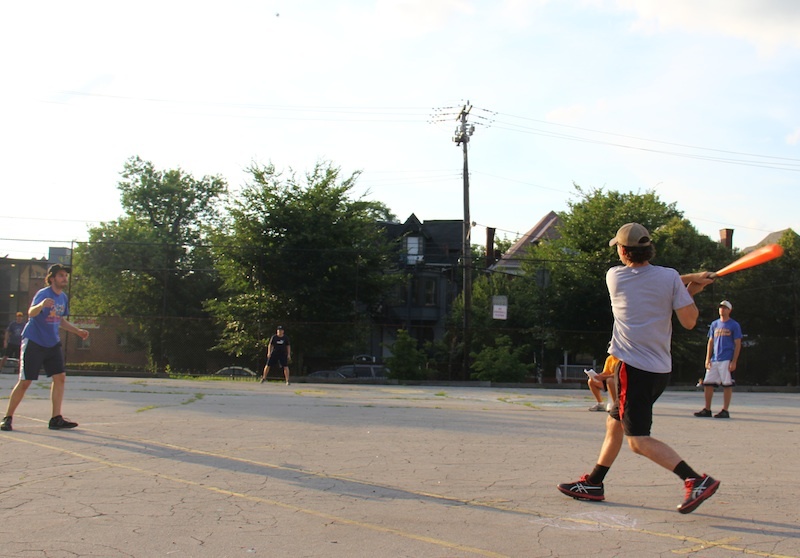 Charlie’s pitching and the Ham Slams defense quieted the league’s most prolific offense as the Slams surprised Questionable Outfit 3-2. Questionable Outfit put the ball in Mike’s hands against the Slams, and he started hot, retiring the side in order in the top of the first. The Ham Slams started their ace, Charlie, and it looked like he would be in trouble early. Questionable Outfit’s first batter, Tom, roped a double to lead off the inning. He moved the third when Reilly followed with a single. The next batter, Bob, grounded out to the mound, preventing the runner from scoring. Charlie then retired Mike, stranding both runners and avoiding damage in the bottom of the first. Mike continued to roll in the top of the second, pitching a scoreless inning. Tom continued his hot bat in the bottom of the second, leading off the inning with a solo bomb, putting Questionable Outfit ahead 1-0. Charlie then retired Reilly and Bob in order to end the second. Down 1-0, the Ham Slams responded in the top of the third. Kyle led off the inning with a solo homer, tying the game at 1-1, and Anthony followed with a solo blast of his own. The back-to-back homers gave the Ham Slams a 2-1 lead. Josh followed with a double, and the Ham Slams were set to break open the game. But Mike buckled down, retiring Charlie and Kyle to strand the runner and end the inning. Mike led off the bottom of the third with a single, and moved from first to third when Tom followed with a single. Questionable Outfit had runners on first and third with no outs, but Charlie would escape trouble again. He fanned Reilly for the first out, then got Bob to groundout to right, stranding two Questionable Outfit runners on base. Anthony led off the top of the fourth with a double, but Mike retired Josh and Charlie in order to hold the deficit at a single run. Charlie cruised through the bottom of the fourth, retiring Mike and Tom consecutively. Up 2-1, the Ham Slams added to their lead in the top of the fifth when Kyle led off the inning with a solo homer, his second of the game. After Anthony flew out to the mound for the first out, Josh hit a one-out double. But Mike retired Charlie for the second out of the inning, holding the runner at second. Charlie retired Reilly for the first out in the bottom of the fifth, but Bob followed with a one-out single. Mike then singled, putting runners on first and second with one out. 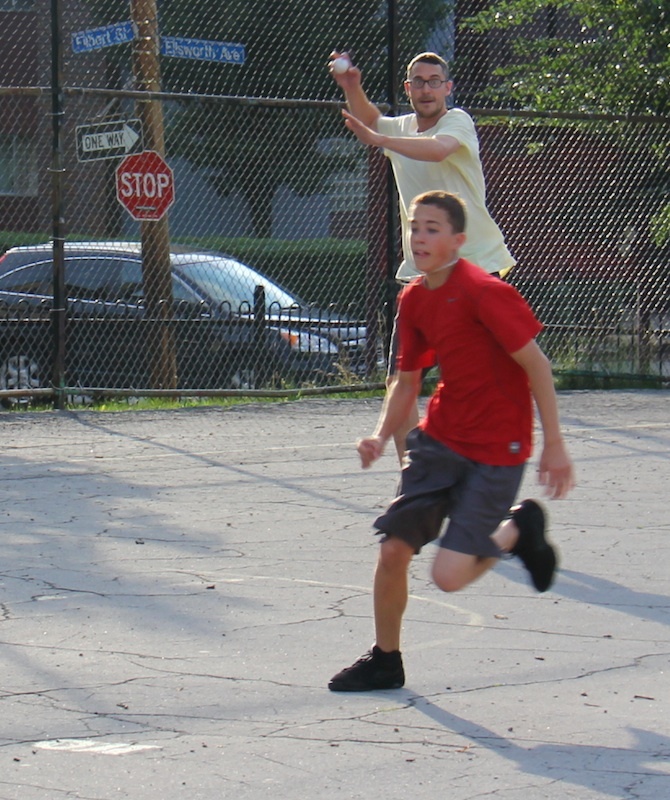 Tom followed with a single, and Bob scored from second on the play. But as Mike moved from first to third, Tom tried to extend the single into a double, and was caught in between bases for the second out of the inning. Questionable Outfit had cut the score to 3-2, but left two runners on base. Steve entered the game in the top of the sixth after missing the game’s first five innings, but Mike retired the side in order to maintain the 3-2 score. Down to their final at-bat, the potent Questionable Outfit offense was unable to get started in the bottom of the sixth. Charlie retired Reilly and Bob consecutively, ending the inning and giving the Ham Slams a 3-2 win. The win was the Ham Slams second straight and moved their record to 5-10 on the season. This was the first 2-0 week of the 2013 season and the first time they had won consecutive games. The loss dropped Questionable Outfit to 9-5, snapping their five-game winning streak and putting them in a tie with Cookies & Cream for first place. 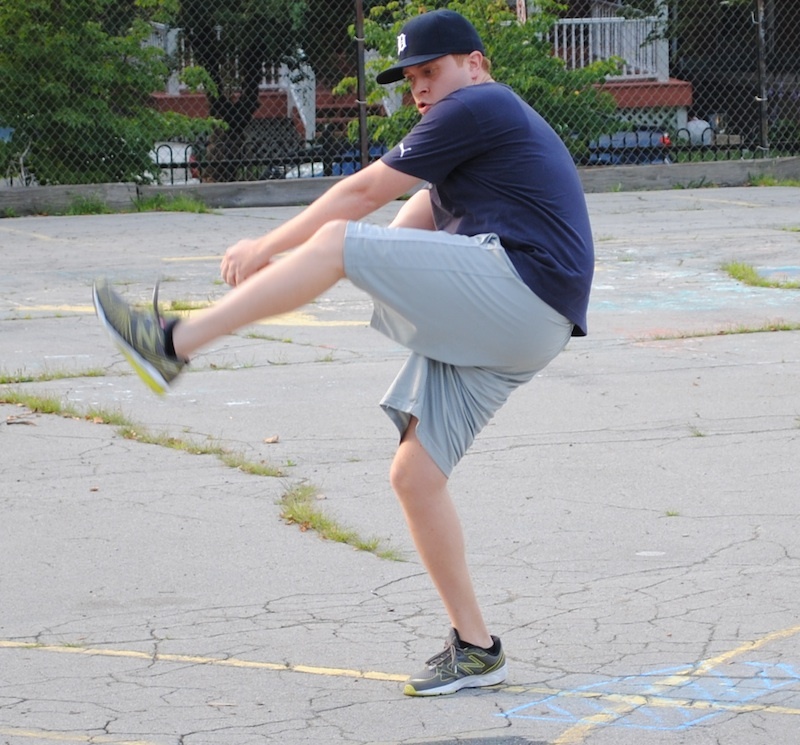 – Charlie pitched the complete game win for the Ham Slams, allowing 2 runs on 8 hits in 6 innings. – Mike took the loss for Questionable Outfit, his first loss of the season. He gave up 3 runs on 6 hits in 6 innings. 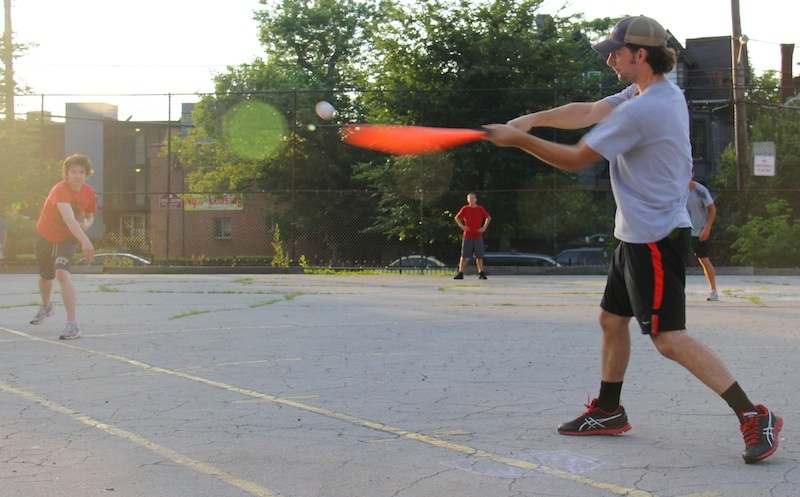 – Kyle, Anthony, and Josh each had 2 hits to lead the Ham Slams. Kyle’s two homers and Anthony’s one homer were all of the solo variety, and represented the three Ham Slams runs. 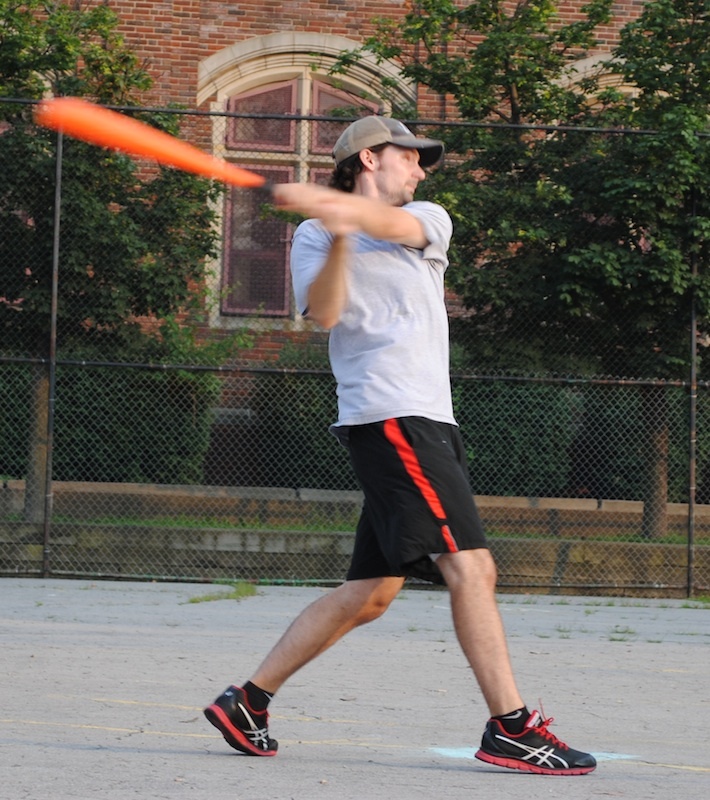 – Tom led Questionable Outfit offensively, going 4-for-5 with 2 singles, a double, a home run, a run scored, and 2 RBI. Bob led Questionable Outfit on both sides of the plate as Questionable Outfit beat Cookies & Cream 5-3 to extend their lead in the season standings. Cookies & Cream sent Joey to the mound, and despite pitching effectively in 2013, he found himself in a hole early. The game’s first batter, Tom, crushed a solo homer to right center, and Questionable Outfit immediately had a 1-0 lead. The next batter, Reilly, doubled, but made a base running error and was caught out in between bases. Questionable Outfit continued to hit the ball hard, as Bob slammed a solo homer, extending the lead to 2-0. Joey retired Mike for the second out of the inning. Bob rolled through the bottom of the first, retiring the side in order to maintain the 2-0 lead. Tom grounded out for the first out in the top of the second, and after a Reilly single, Joey retired Bob to end the inning. Cookies & Cream showed signs of life in the bottom of the second, starting with Guthrie, who singled to start the inning. Vassallo followed with a single, putting runners on first and second with no outs. The next batter, Morrison, also singled, scoring Guthrie from second and cutting the score to 2-1. Cookies & Cream were set to mount a rally with no outs and runners on the corners, but Bob pulled things together, retiring Dinger and Joey to strand both runners and end the inning. Morrison’s RBI single in the bottom of the second cut the score to 2-1. Joey pitched a perfect frame in the top of the third, and Bob matched him in the bottom. The score remained 2-1 through three innings. Reilly flew out to left for the first out in the top of the fourth, but Bob followed with a solo homer to right, his second of the game, making the score 3-1. With one out, Mike singled, and Tom followed with another single, putting runners on first and third with one out. But Joey escaped further damage, retiring Reilly for the second out, stranding both runners. Bob retired the side in order in the bottom of the fourth. Bob led off the top of the fifth with a single, and Mike followed with a single, pushing Bob to third. With no outs and runners on the corners, Tom grounded out to Guthrie, and Guthrie gunned the ball to the mound to catch Bob between bases for the second out of the inning. Down 3-1, Cookies & Cream would cut into the deficit in the bottom of the fifth. Joey led off the inning with a single, and moved to second when Guthrie grounded out to left for the first out. The next batter, Vassallo, singled, scoring Joey from second. Cookies & Cream couldn’t tie the game, however, as Bob retired Morrison to end the inning. With the score 3-2, Questionable Outfit made up for the lost run in the top of the sixth. Reilly led off the inning with a solo bomb, making the score 4-2. The next batter, Bob, crushed a solo homer, his third of the game, and the back-to-back-jacks were enough to make Cookies & Cream call to the bullpen. Dinger came into the game and retired the first two batters he faced to end the inning, but Questionable Outfit had opened up a three-run lead. Reilly and Questionable Outfit celebrate at the plate after his sixth inning solo shot extended the lead to 4-2. Bob retired Dinger for the first out in the bottom of the sixth, but the next batter, Joey, hit a solo home run, cutting the score to 5-3. Guthrie followed with a single, and Cookies & Cream had the tying run at the plate. But the rally ended there, as Bob retired Vassallo for the second out, giving Questionable Outfit the 5-3 win. 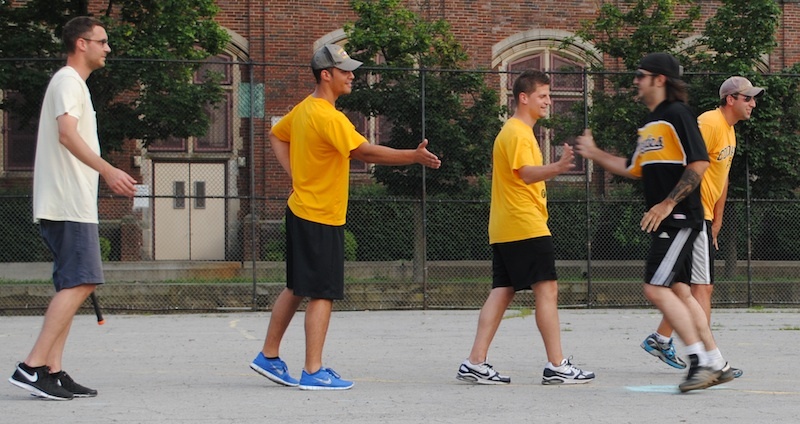 The win moved Questionable Outfit to 9-4 on the year, and extended their winning streak to 5 games. The loss dropped Cookies & Cream to 9-5, half a game behind Questionable Outfit in the standings. – Bob pitched the complete game win for Questionable Outfit. He gave up 3 runs on 7 hits in 6 innings. – Joey took the loss for Cookies & Cream, giving up 5 runs on 11 hits in 5 innings pitched. Dinger pitched an inning of relief, giving up no hits or runs. 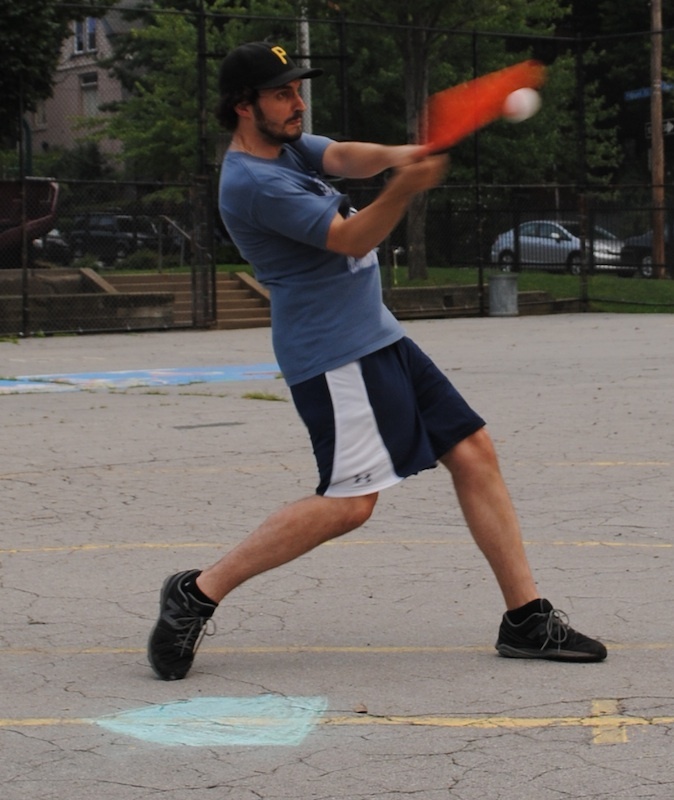 – Bob led Questionable Outfit on offense, going 4-for-5 with a single, 3 homers, 3 runs scored, and 3 RBI. – Joey led Cookies & Cream at the plate, going 2-for-4 with a single, a homer, 2 runs scored, and an RBI. In what became the most exciting game of the 2013 EWL season, the Ham Slams rallied to overcome a seven-run deficit to top Eastbound & Dahn 9-8, snapping a six game losing streak. Eastbound & Dahn sent Mark to the mound, and the Slams got to him early. Kyle led off the game with a single, and moved to third when Anthony followed with a double. The next batter, Josh, grounded out to left, but Kyle raced home on the play to put the Ham Slams up 1-0. Anthony moved to third, but Steve couldn’t advance him, as he grounded out to left to end the top of the first. Josh started for the Ham Slams, and Eastbound & Dahn came out blazing. Mark led off the bottom of the first with a triple, and Trevar followed with a two-run blast, immediately erasing the Ham Slams early lead. Helal followed with a solo bomb, and the back-to-back homers put Eastbound ahead 3-1. Mark singled to continue the big inning, and moved to second when Trevar followed with a single. With runners on first and second and no outs, Helal grounded out to left, as Josh finally recorded the first out of the inning after giving up five consecutive hits. But the damage did not end there, as Mark followed with a three-run home run, making the score 6-1. Trevar grounded out to center to end the inning, but Eastbound had exploded out of the gates. It looked as if the Ham Slams would bounce back in the top of the second, but Mark escaped a jam. After Charlie grounded out to start the inning, Kyle and Anthony each singled, putting runners on first and second with one out. But Mark retired Josh, stranding both runners and escaping the inning while maintaining the 5-run lead. Eastbound & Dahn got back to work in the bottom of the second. Helal led off the inning with a solo shot, his second of the game, making the score 7-1. Mark followed with a homer, his second of the game, and the back-to-back jacks pushed the Eastbound lead to 8-1. Josh retired Trevar and Helal to end the inning, but the Ham Slams trailed by seven runs. Mark rolled through the top of the third, retiring Steve and Charlie in order. Josh pulled things together in the bottom half of the third, pitching a scoreless inning, the first he had pitched in the game. 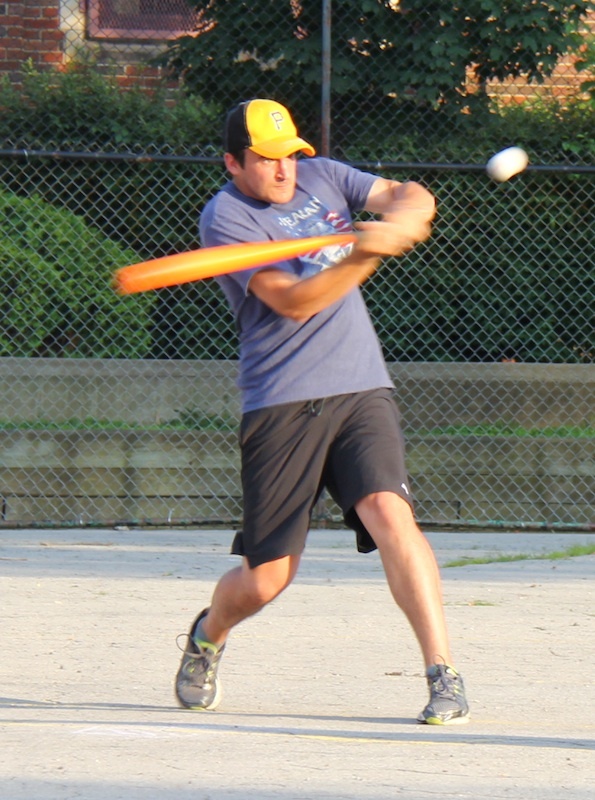 Mark had been in control early, but the Ham Slams showed their resiliency in the top of the fourth. Kyle led off the inning with a single, and he moved from first to third when Anthony followed with a double. With no outs and two runners in scoring position, Josh doubled, plating both runs and cutting the score to 8-3. Steve followed with a single, scoring Josh and reducing the deficit to four runs. With Steve on first and no outs, Charlie singled, putting runners on first and second. Kyle followed with a single, scoring Steve, and the score was 8-5. Anthony came to the plate with runners on first and second and no outs, and he delivered with a triple, clearing the bases and cutting the deficit to 8-7. 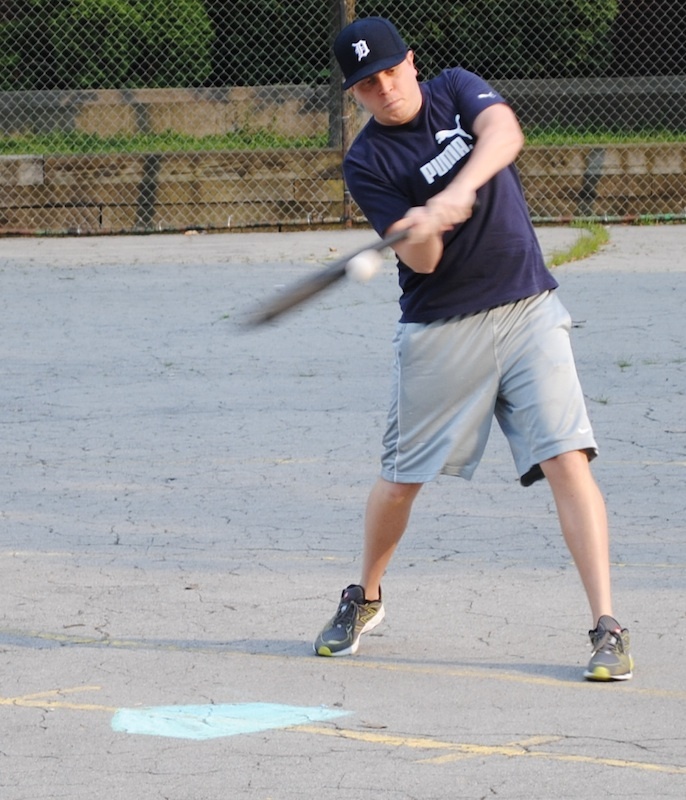 The Ham Slams had scored six runs and cut the deficit to only a run without registering an out in the inning. They had a runner in scoring position on third with no outs, but Mark snapped out of the funk, retiring Josh and Steve to end the disastrous inning. Helal grounded out to start the bottom of the third, and after Mark singled for his fifth hit in the game, Josh retired Trevar to strand him and end the inning. Trailing by a run, Charlie led off the top of fifth with a single. But the Ham Slams couldn’t tie the game, as Kyle flew out for the first out and Mark doubled-up Charlie to end the inning. It looked as if Eastbound would add to their lead in the bottom of the fifth. Helal grounded out to start the inning, but Mark and Trevar each followed with singles. With one out and runners on the corners, Josh avoided more trouble, retiring Helal to strand the runners and end the inning. Down 8-7 and in their final at-bat, Anthony flew out for the first out in the top of the sixth. Only an out away from winning, Mark gave up a double to Josh, and the tying runner was on second base. Steve followed with a double, scoring Josh, tying the game at 8-8. Charlie came to the plate with the go-ahead run in scoring position. He hit a line drive off the pitcher, reached first safely for a single, and Steve raced from second to score on the play. 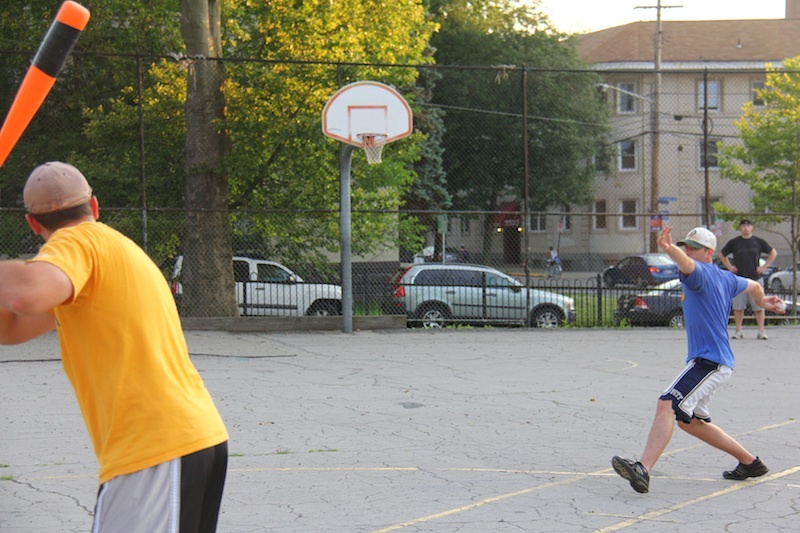 The Ham Slams had taken a 9-8 lead after trailing the entire game. Mark retired Kyle to end the inning, but Eastbound & Dahn had squandered a huge lead and now trailed heading into the bottom of the sixth. Despite swinging a hot bat most of the game, Mark flew out to center for the first out of the inning. Down to their final out, Trevar roped a one-out double off the fence, and Eastbound had the tying runner in scoring position. But Josh buckled down, retiring Helal, stranding the runner, and giving the Ham Slams an incredible come-from-behind victory. The win snapped a six-game losing streak for the Ham Slams and moved them to 4-10 on the season. The loss dropped Eastbound & Dahn to 5-8 on the year. – Josh pitched the complete game win for the Ham Slams. He allowed 8 runs on 12 hits in 6 innings. – Mark took the loss for Eastbound, giving up 9 runs on 15 hits in 6 innings pitched. – Kyle and Anthony led the Ham Slams, each registering 4 hits on the game. Kyle went 4-for-6 with 4 singles, 3 runs scored, and an RBI. Anthony went 4-for-5 with a single, 2 doubles, a triple, a run scored, and 2 RBI. He was only a home run shy of hitting for the cycle. Josh and Steve each collected 2 hits, and Charlie had 3 singles, including the game-winning RBI. – Mark led Eastbound & Dahn at the plate, going 6-for-8 with 3 singles, a triple, 2 homers, 4 runs scored, and 4 RBI. After the first inning, he only needed a double for the cycle, but failed to get it throughout the rest of the game.